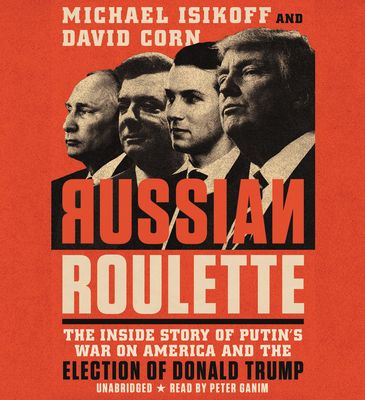 Russian Roulette is a story of political skulduggery unprecedented in American history. It weaves together tales of international intrigue, cyber espionage, and superpower rivalry. After US-Russia relations soured, as Vladimir Putin moved to reassert Russian strength on the global stage, Moscow trained its best hackers and trolls on US political targets and exploited WikiLeaks to disseminate information that could affect the 2016 election. The Russians were wildly successful, and the great break-in of 2016 was no third-rate burglary. It was far more sophisticated and sinister-a brazen act of political espionage designed to interfere with American democracy. At the end of the day, Trump, the candidate who pursued business deals in Russia, won. And millions of Americans were left wondering, what the hell happened? This story of high-tech spying and multiple political feuds is told against the backdrop of Trump's strange relationship with Putin and the curious ties between members of his inner circle-including Paul Manafort and Michael Flynn-and Russia.